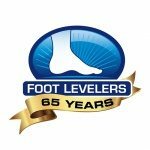 July 31, 2014 —Â Foot Levelers Chairman and CEO Kent S. Greenawalt will be a featured lecturer at the Florida Chiropractic Association (FCA) National Convention and Expo, speaking on “Ground Force Reactions and Their Effects on the Kinetic Chain Changes” on Thursday, Aug. 20, at the Hyatt Regency in Orlando, Florida. 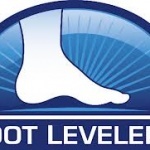 Greenawalt’s talk will focus on the positive impact functional foot orthotics, like Foot Levelers Stabilizing Orthotics, have on conditions such as low back pain, plantar fasciitis, hammertoes, and other kinetic chain problems. Invented by a chiropractor in 1952, stabilizing orthotics have been clinically proven, by over 32 research studies and trials, to help patients with a variety of biomechanical issues, including low back pain, which over 60 percent of the United States population experiences. Greenawalt will reference several studies, including a 1999 study, “Chronic Low-back Pain and its Response to Custom-Made Orthoses” (Dananberg HJ, Guiliano M.), showing how stabilizing orthotics functionally address conditions of the foot, ankle, and legs, providing a positive impact on areas such as the lower spine. In addition to Greenawalt’s lecture, Foot Levelers will be exhibiting its products and innovations in its two booths (no. 1 and no. 25) and is also sponsoring two other speakers (Kathy Mills-Chang and Dr. Kevin Wong), as well as a new student/recent graduate luncheon on Saturday, Aug. 22.